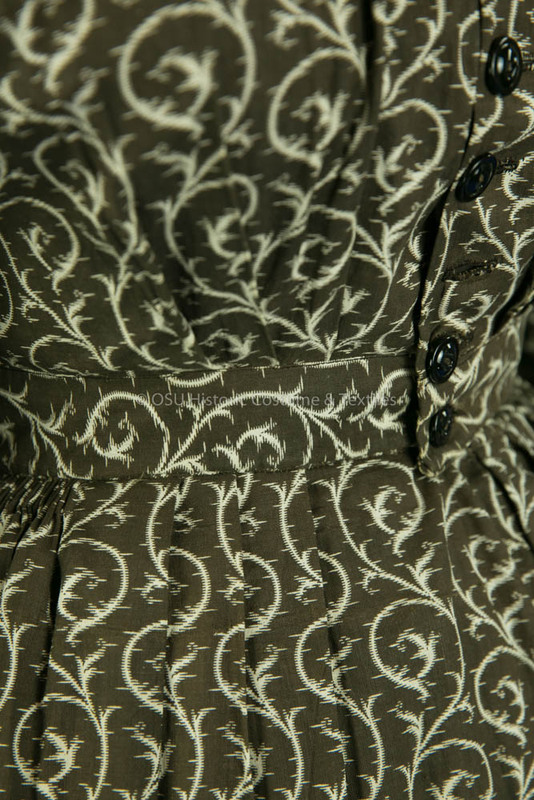 Dark brown cotton dress with off-white printed vine pattern, hand sewn with some machine stitching. 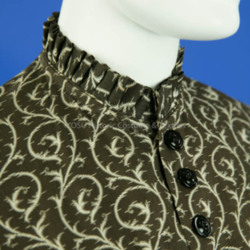 Piped jewel neckline has standing pleated ruffle collar. 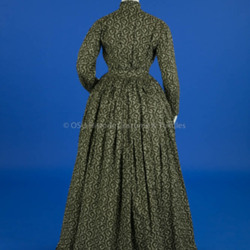 Bodice shoulder seams toward back, shoulders dropped and armscyes piped; sleeves long two piece tailored. 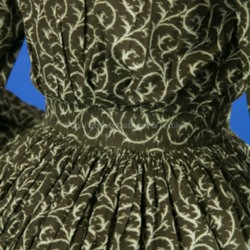 Center front 10 black glass button/buttonhole closure; three pleats radiate out either side center front and center back; no boning in bodice; lower piped edge mostly obscured by waistband applied to bottom of bodice and machine topstitched; bodice lined in light brown cotton, sleeves lined in off-white cotton; wool braid hanging tape bodice waist center back. 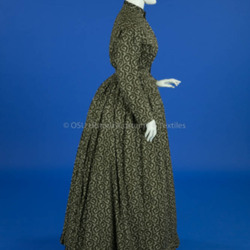 Skirt remade from earlier design; straight panels front back with shaped gores on sides; back width pieced; 3 flat pleats either side of CF with rest of skirt cartridge pleated onto bodice; side front left slit opening with hook and eye closure; side right pocket same fabric as bodice lining; fish eye darts in right and left skirt back about 3" below waist; 11.5" tan cotton hem facing; black/dark green wool or hair braid binds hem edge; 3" pleated ruffle applied to bottom of skirt by machine. 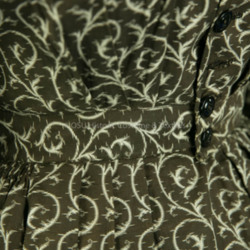 This dress was purchased. 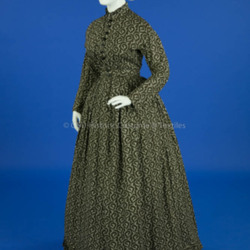 It was remade from an earlier style. 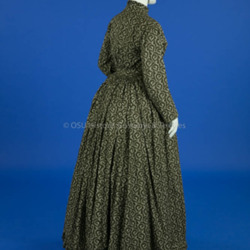 The skirt was made narrower and flatter in front, the sleeves also were made narrower. 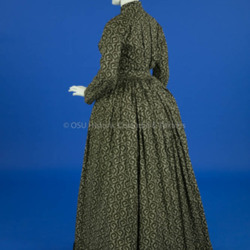 The ruffles probably were added later. 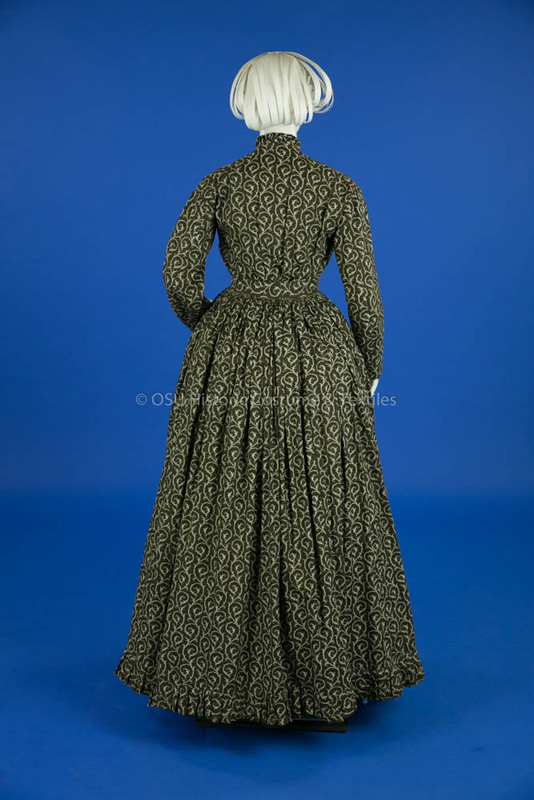 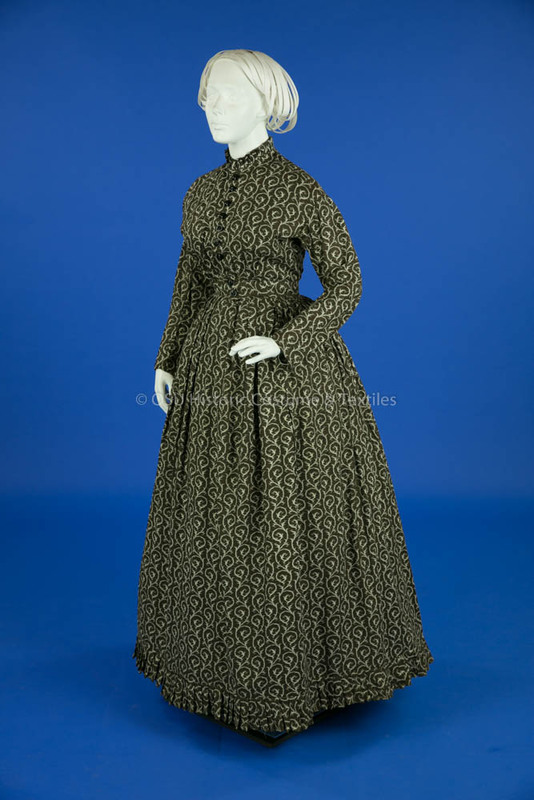 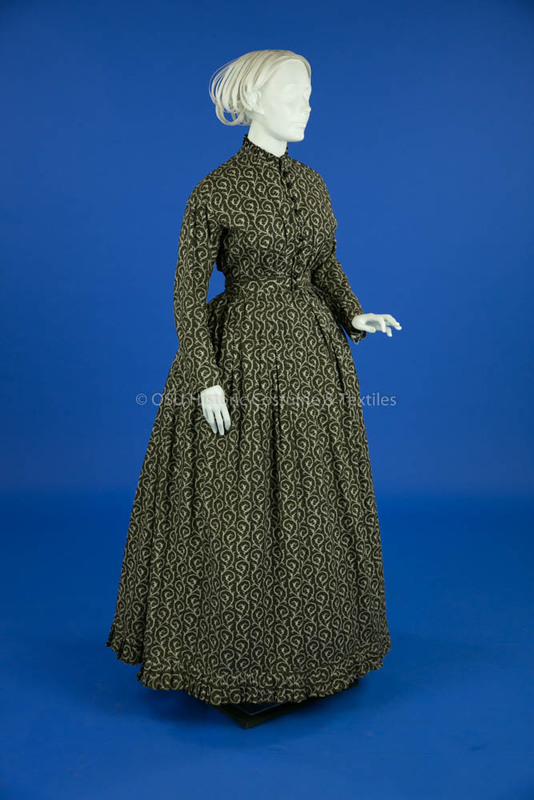 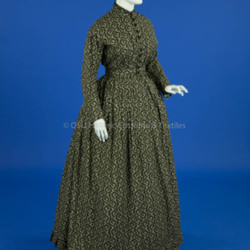 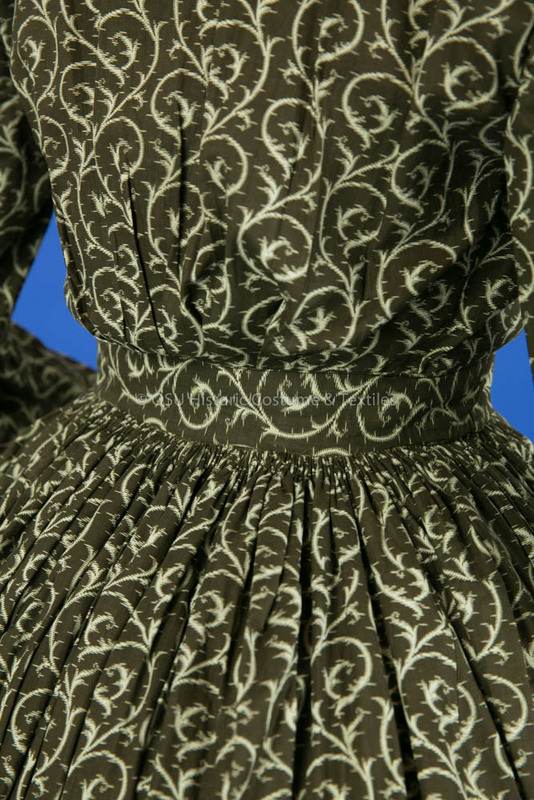 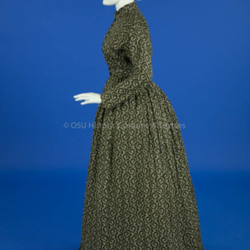 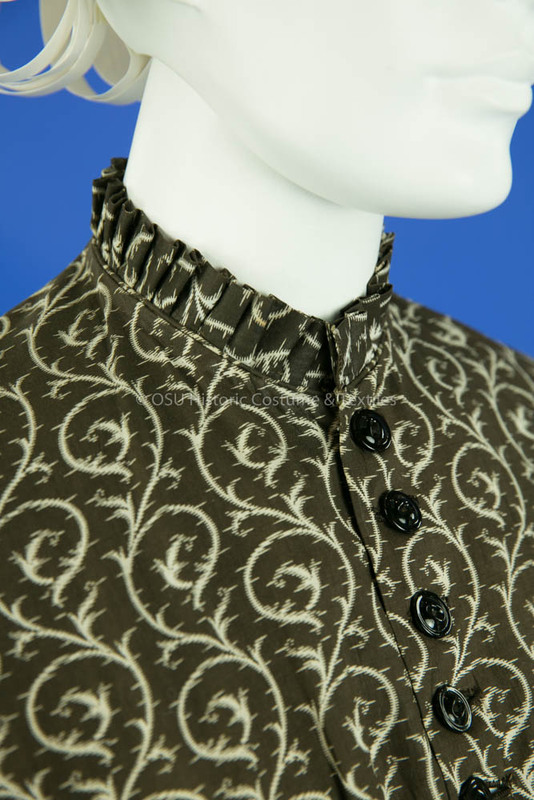 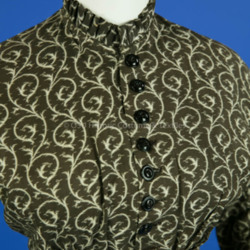 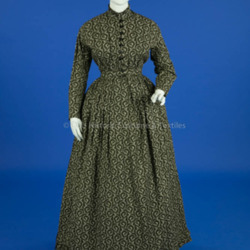 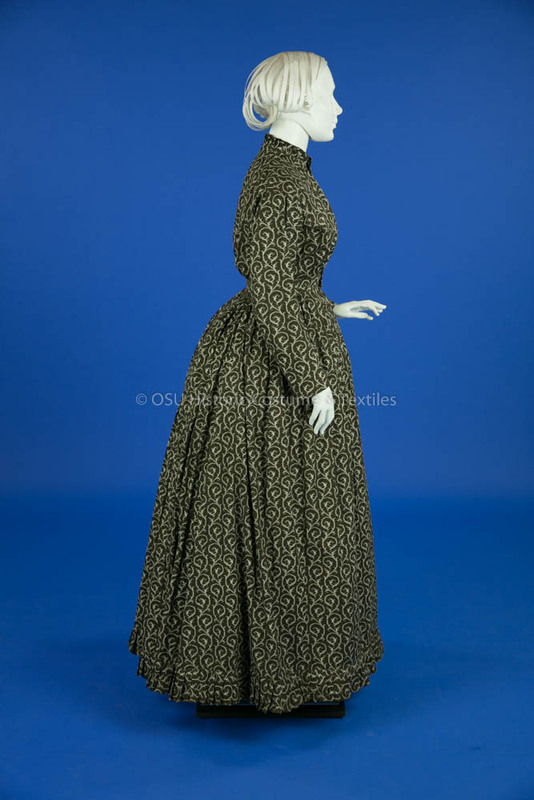 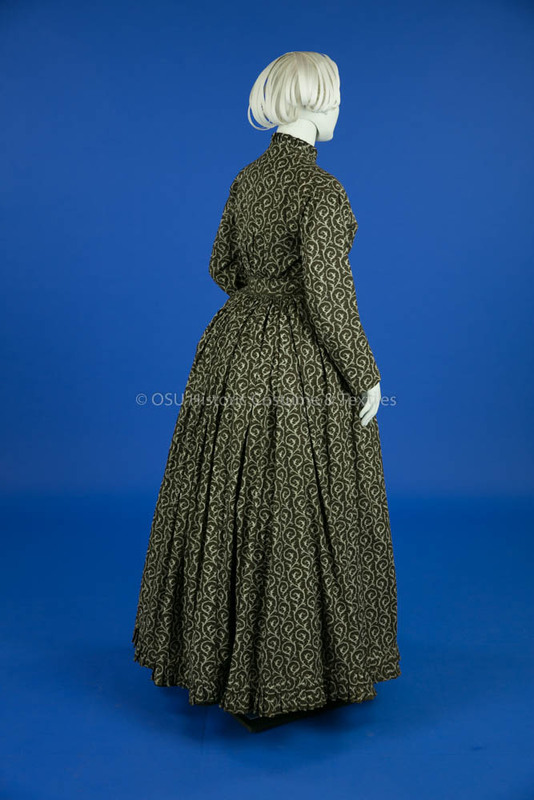 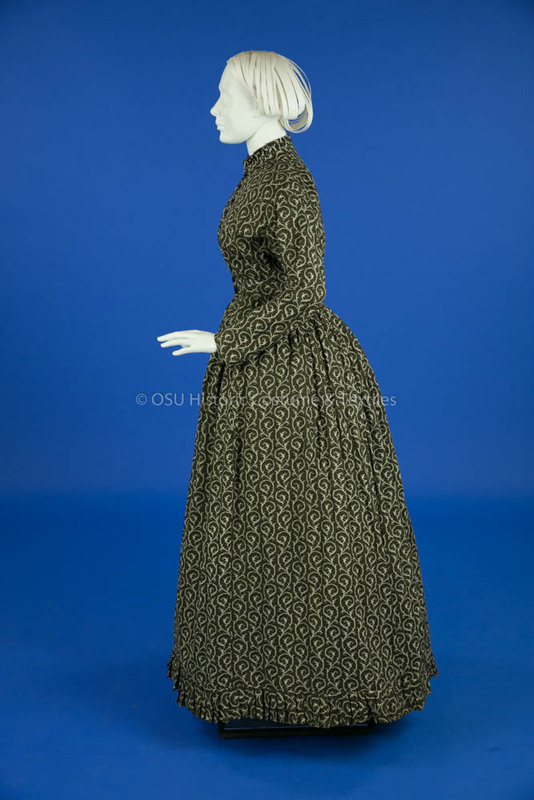 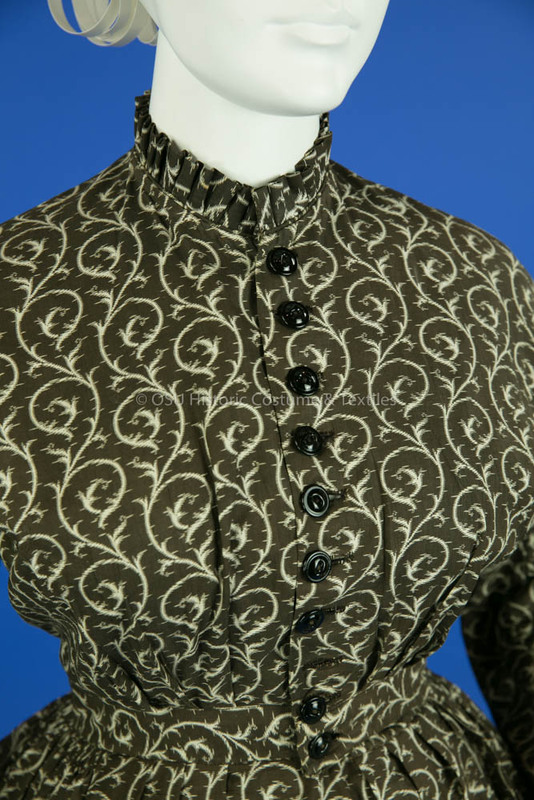 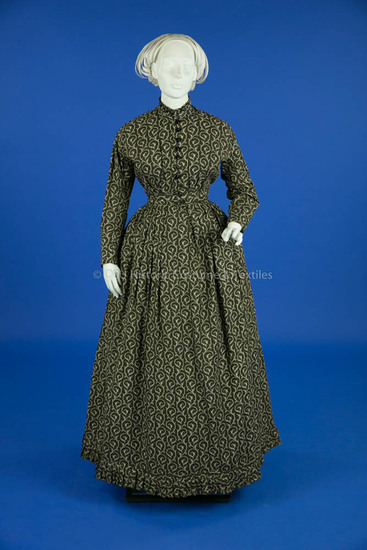 “1865-1875, Brown Cotton Print Dress,” Fashion2Fiber, accessed April 24, 2019, http://fashion2fiber.osu.edu/items/show/801.